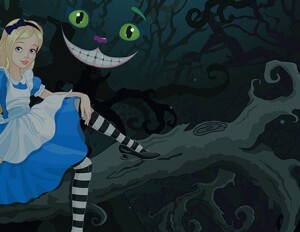 As the Cheshire Cat said to Alice “If you don’t know where you’re going any road will get you there”. Or as another clever person said “a goal without a plan is just a wish”. Planning for your Company development can feel like another thing to do in an already hectic schedule. But actually, if you turn it into a social event with the staff from each section getting together, it can be fun. Also, we know from what volunteers have told us that having a plan and achieving their goals is incredibly satisfying. Planning allows us to keep the bigger picture in view, and if done on an annual basis provides a fantastic opportunity to celebrate successes as we look back, and be bold as we look forward. By when should the goal be achieved? How about getting the staff together from each section, or all together if you’re a smaller Company and setting up a brainstorming session on what you want to achieve? Remember to include your children/young people, either by consulting them on their ideas before you meet, or invite them along to part of the meeting. You could use a “cool wall” where ideas are written on post it notes and stuck on a wall ranging from “ice cool” at one end to “so uncool…” at the other. This should spark a lively debate – and you’ve demonstrated participation. Tick that box! What went well last session? What trips, visits, adventure activities could we plan? Do we need funds? How can we raise them? What is our target? How do we involve parents and carers? What new programme activities can we include? Could we introduce more choice for the children? Do we need new leaders with skills to enthuse the children? Would some of the parents have skills they would share? How will we introduce overnight activities? Weekends away? Are we using “free play” as part of the programme? How do we provide more exciting/new activities through the programme? How do we involve Junior section children with recruitment? Can we do a “bring a friend” night? What will retain young people in this age range? How can we share the running of the Company with these young people? How do we build choice, autonomy and consultation into the programme? Could we organise an overseas trip? Could we start DofE awards? How do we raise funds to enable all young people can attend camps etc? Who wants to take on a position of responsibility/leadership? Who could be encouraged and supported to do so? How can we challenge ourselves to hand over the decision-making to our Seniors? How do we support and enable them to develop their potential? How do we respond to their needs and wishes? Can we develop a strong peer support network…and begin to stand back! What regional/national/international opportunities are available? KGVI? Regional camps and events? (Reminder: the Company Development Scheme handbook has a template all ready for you). Good luck! Planning is the way to turn wishes into achievements.